Below you fill find all funeral homes and cemeteries in or near Boonton. Suburbs of Boonton: Boonton Township, Lake Intervale, Lk Intervale, Lyonsville, Meriden, Powerville, Rockaway Valley, Taylortown. 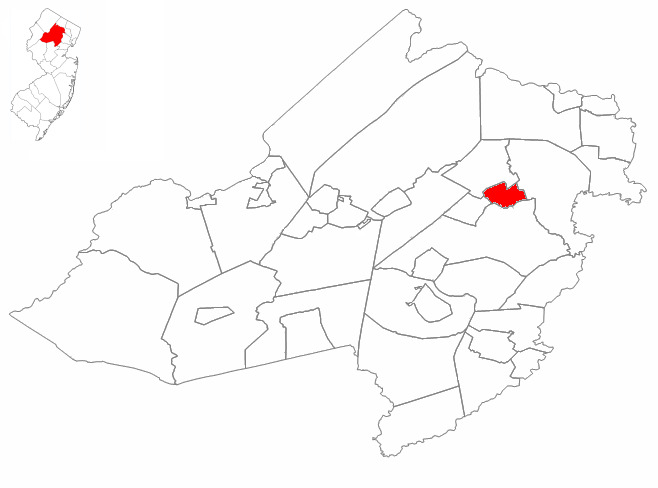 Boonton is also known as: Morris County / Boonton town. Their current mayor is Mayor Terry McCue. Zip codes in the city: 07005. Some of the notable people born here have been: Peter Onorati (actor and voice actor), Mike Michalowicz (author), and Adam Kubert (comics artist and penciller). Boonton is a town in Morris County, New Jersey, United States. As of the 2010 United States Census, the town's population was 8,347, reflecting a decline of 149 (−1.8%) from the 8,496 counted in the 2000 Census, which had in turn increased by 153 (+1.8%) from the 8,343 counted in the 1990 Census. The settlement was originally called "Boone-Towne" in 1761 in honor of the Colonial Governor Thomas Boone.Boonton was originally formed on March 16, 1866, within portions of Hanover Township and Pequannock Township. The town was reincorporated and became fully independent on March 18, 1867.The development of Boonton began in about 1829, as a result of the construction of the Morris Canal and the formation of the New Jersey Iron Company. The original location of the town is now largely under the Jersey City Reservoir, completed in 1904. In 1908, the waters from this reservoir were the first municipal water supply in the United States to be chlorinated. The decision to build the chlorination system was made by John L. Leal and the facility was designed by George W. Fuller. It was disclosed on July 1st, 2018 that Walter Bruno Trauner perished in Dunedin, Florida. Trauner was 93 years old and was born in Boonton, NJ. Send flowers to express your sympathy and honor Walter Bruno's life. It was revealed by Arizona Republic on June 21st, 2015 that Margaret Suhl (Sillick) passed on in Chandler, Arizona. Ms. Suhl was 100 years old and was born in Boonton, NJ. Send flowers to express your sympathy and honor Margaret's life. It was reported on September 23rd, 2014 that Maria Marshall (Zorlas) passed away in Boonton, New Jersey. Send flowers to express your sympathy and honor Maria's life. It was noted on March 10th, 2012 that Angelina Gabriele (Fusco) passed away in Santa Barbara, California. Ms. Gabriele was 87 years old and was born in Boonton, NJ. Send flowers to express your sympathy and honor Angelina's life. It was disclosed by The Porterville Recorder on February 11th, 2012 that Barbara Ann Royer (Johnstone) perished in Santa Monica, California. Ms. Royer was 50 years old and was born in Boonton, NJ. Send flowers to share your condolences and honor Barbara Ann's life. It was noted on November 22nd, 2011 that Joan Helene Weissman passed away in Boonton, New Jersey. Weissman was 81 years old. Send flowers to express your sorrow and honor Joan Helene's life. It was written by Camas Post Record on May 10th, 2011 that Jeanne Lorraine Hill (Yerbury) died in Camas, Washington. Ms. Hill was 83 years old and was born in Boonton, NJ. Send flowers to express your sorrow and honor Jeanne Lorraine's life. It was revealed by Flint Journal on April 14th, 2011 that Charles Kvasnica died in Davison, Michigan. Kvasnica was 94 years old and was born in Boonton, NJ. Send flowers to express your sorrow and honor Charles's life. It was disclosed on January 14th, 2010 that Elizabeth D Kelly (Rak) passed away in Boonton, New Jersey. Ms. Kelly was 102 years old. Send flowers to share your condolences and honor Elizabeth D's life. It was disclosed on April 14th, 1904 that William Hoar perished in Boonton, New Jersey. Send flowers to express your sympathy and honor William's life. Boonton is a Town (New Jersey) in Morris County, New Jersey County, New Jersey that was chartered in 1867. The town was originally called "Boone-Towne" in 1761 in honor of the List of Governors of New Jersey Governor Thomas Boone. During the 18th Century, the village of Boonetown (Booneton, Boonton) was established on the Rockaway River, about a mile and a half downstream from the current site of the town. As of the United States 2000 Census, the town population was 8,496. The ironworks was enlarged, and a village of workmen and their families emerged. . The official website for the city of Boonton is https://www.boonton.org/. MacKey, Dean - MacKey Funeral Home, Boonton, NJ : Reviews and maps - Yahoo! Local, 973.334.5252. Get Ratings, Reviews, Photos and more on Yahoo! Local. Funerals in Boonton, NJ on Yahoo! Local Get Ratings & Reviews on Funerals with Photos, Maps, Driving Directions and more. Find a Funeral Home inBoonton, New Jersey NJ to provide the caring burial and ceremonial services your family deserves. We work with local florists and flower shops to offer same day delivery. You will find budget sympathy flowers in Boonton here. Our funeral flowers are cheap in price but not in value.